How long will the cold spell last? 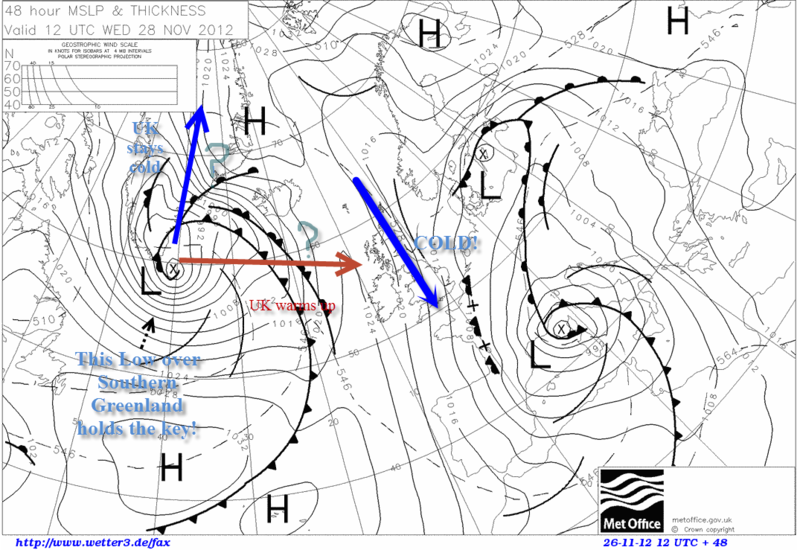 It depends on the LOW pressure currently hanging to the South of Greenland. If it shifts west then this will bring warm Atlantic air to the UK next week. If it moves North then our cold snap will stick around for a while longer. The UK Met Office have the LOW moving North, most other models have it moving across to us… wait and see!